Description: The North Beach area of Corpus Christi is a small section of land between the Corpus Christi Shipping Channel and Nueces Bay. It is connected to Downtown Corpus Christi by the Harbor Bridge. 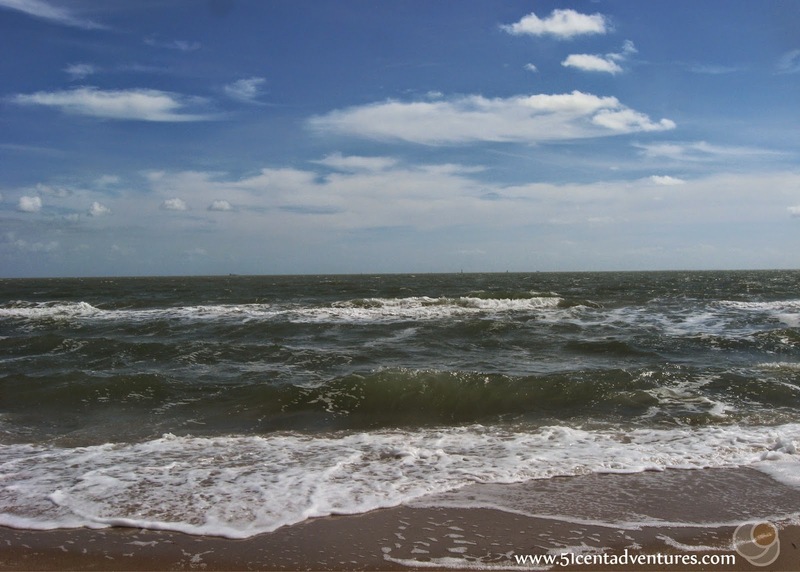 Waves from Corpus Christi Bay wash onto the seaweed free beach. Picnic tables are anchored in the course sand. 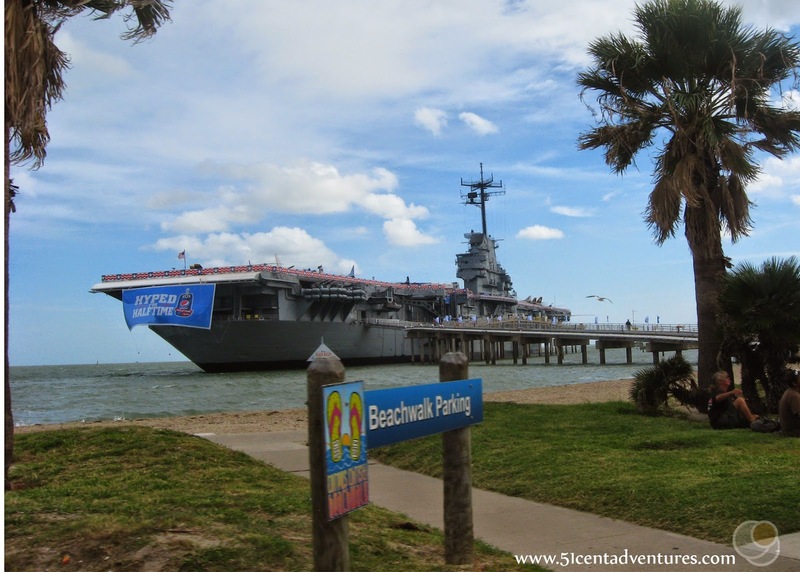 A sidewalk runs the length of the two mile long beach and connects restaurants, hotels, vacation homes, and stores to landmarks like the USS Lexington Aircraft Carrier and the Texas State Aquarium. Location: North of Downtown Corpus Chirsti on the north side of the Harbor Bridge. Cost: Beach access and parking are both free. 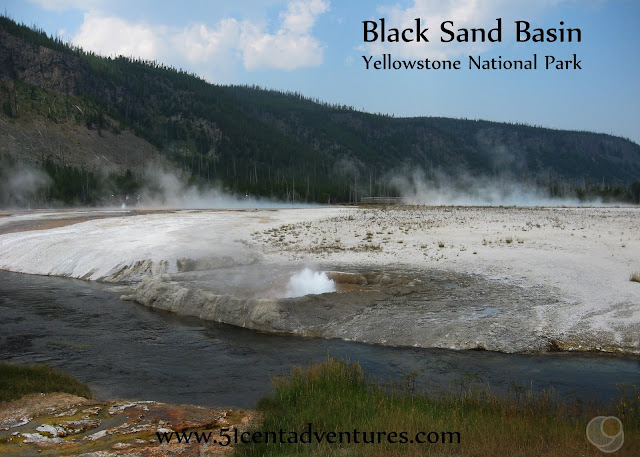 This was the second stop on the third day of the Texas Coastline Road Trip that my husband and I took our kids on in November of 2014. We drove north over the Harbor Bridge, and then took the first exit off of Highway 181. We saw a parking lot next to the beach and headed there. Technically, we'd arrived at Burleson Beach Park, but it was exactly like the rest of the North Beach area so I'll just refer to it as North Beach. As with South Padre Island, I was expecting to need to pay a fee to access to beach, or at least to pay for parking, but again there was no cost. There were picnic tables next to the water. We sat at one, and had a small lunch. Our kids were afraid of the seagulls that took interest in our food. 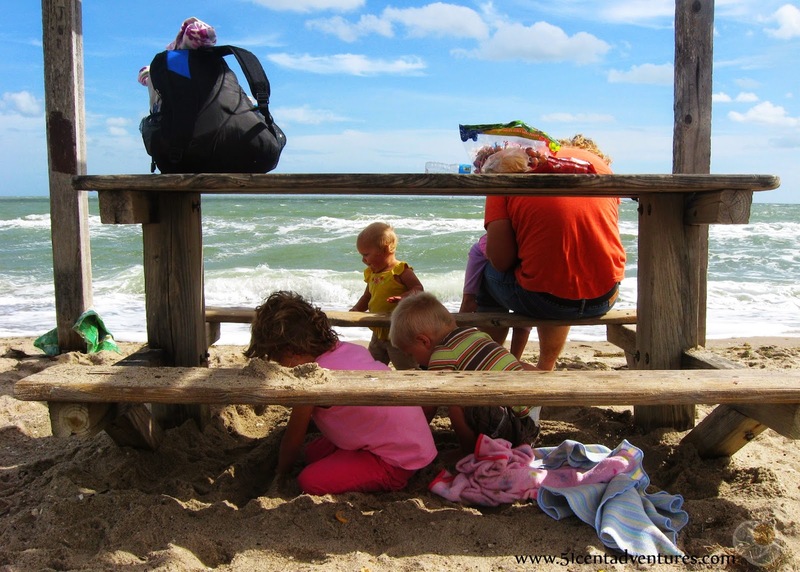 Most of our kids ended up hiding under the picnic table, and playing in the sand there. Gradually my husband was able to coax the kids from under the table. The sand was partially made up of crushed sea shells. 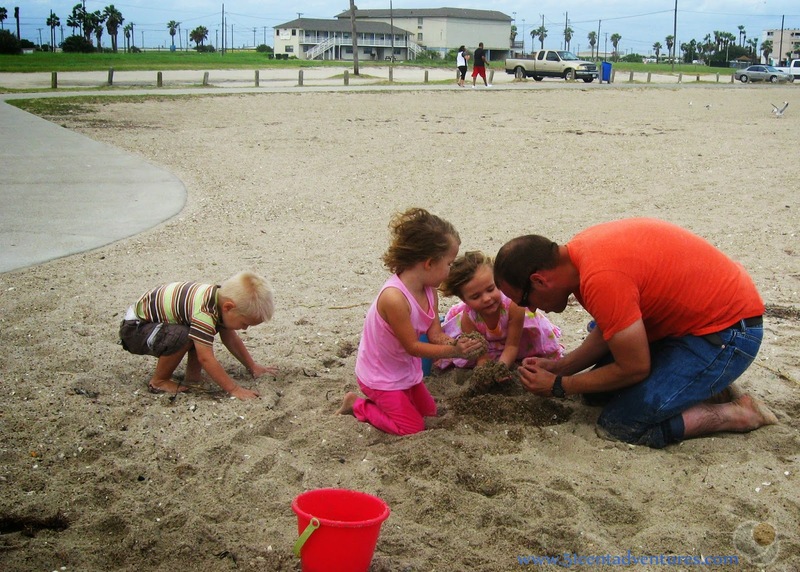 My husband sifted the sand with his hands to help our daughters find "baby seashells." This was one of the many tricks he came up with to help our kids have fun at the beach. Read about his other tricks in this post. Our children were terrified of the water so they wouldn't go near it. 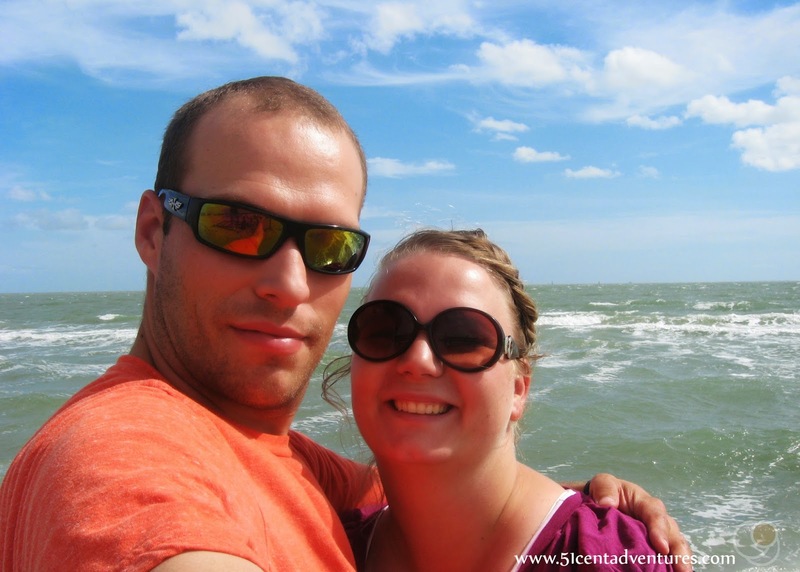 My husband and I enjoyed wading in the surf. I sat on a bench and watched the water for a long time. It was really calming to watch the waves roll in. It appears that this water is the edge of the ocean, but really this is just the Corpus Christi Bay. Mustang Island is beyond the horizon. Mustang Island and Padre Island form a barrier that makes the water in the Corpus Christi Bay calmer than it would be if it was open to the ocean. If we had chosen to, we could have taken a walk on the sidewalk that runs along the beach. Shops, restaurants, and hotels line the beach walk. The USS Lexington Aircraft Carrier is about a half mile down the beach. The Texas State Aquarium is about another quarter mile past that. We had a good time at this beach. It was perfect for an afternoon picnic. I liked that we didn't have to travel far from the town to enjoy the beach. Recommendation: This is a good place to visit if you want to experience the beach without leaving the city of Corpus Christi. However, if you have the time, I suggest going out to one of the islands east of town. I'll talk about them in my next post. Directions: As it's name suggests North Beach is to the north of Corpus Christi. You have to cross over the Harbor Bridge on Highway 181 to reach North Beach from the city. There are a few exits off of Highway 181 that lead to the roads that lead to the beach. 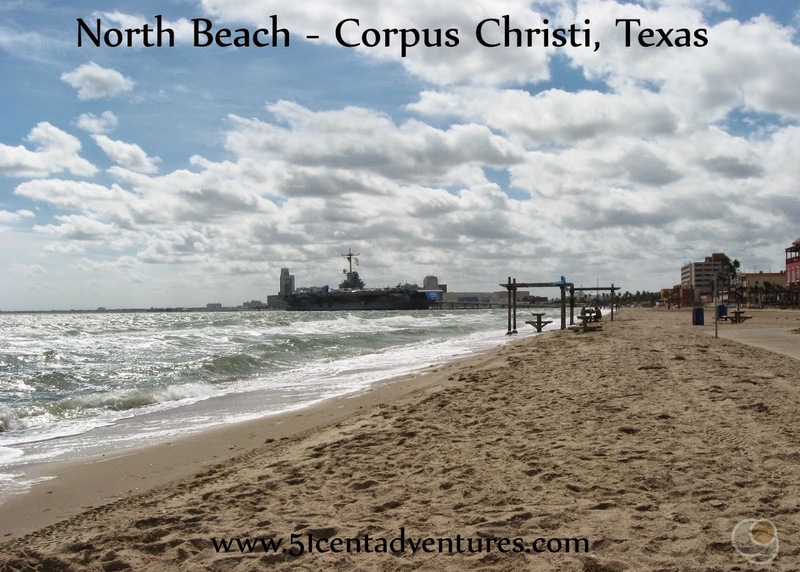 Places Nearby: North Beach isn't the only beach in Corpus Christi. McGee Beach is on the southern side of Corpus Christi. It has all the same amenities as North Beach. 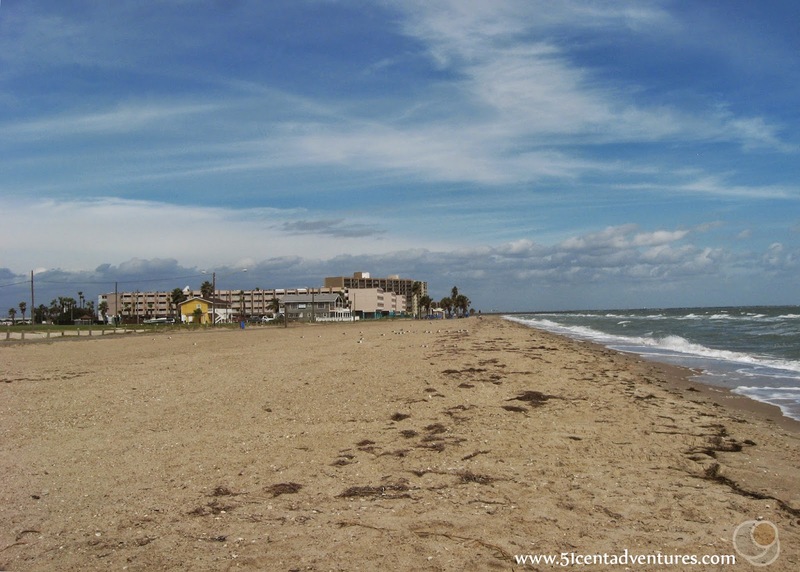 Cole Park is another beach located to the south of downtown Corpus Christi. If I was planning this trip over again I would plan to stop at Cole Park. In addition to beach access, the park has grassy areas, a large playground, an amphitheater, open and shaded picnic tables, and a fishing pier.